This Easy DIY Homemade Ketchup Is So Good, You’ll Never Go Back To The Store-Bought Stuff! Ah, ketchup. It’s the favorite condiment of toddlers and kids everywhere for hot dogs, chicken nugget, and french fries. But have you read the labels on the store-bought ketchup? 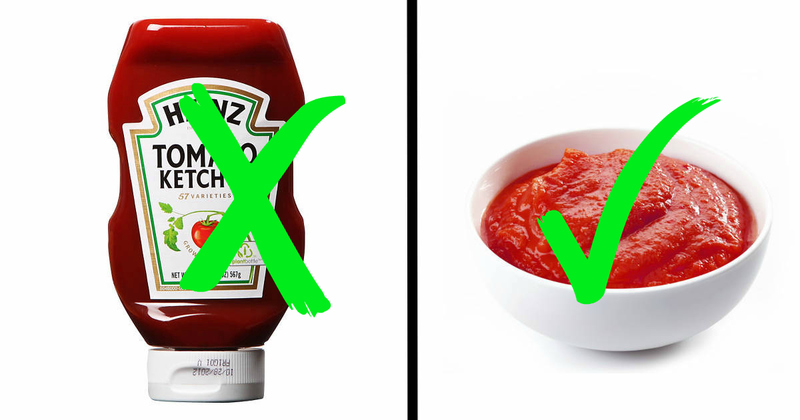 Most ketchup brands you find in the grocery stores contain a lot of sugar (or worse high fructose corn syrup) and other additives and preservatives. Here’s the ingredients list of a popular brand of ketchup you’ll find in grocery stores and nearly every restaurant: Tomato concentrate from red ripe tomatoes, distilled vinegar, high fructose corn syrup, corn syrup, salt, spice, onion powder, natural flavoring. So what’s wrong with these ingredients? We all know that high fructose corn syrup has been linked to a number of health issues. But that’s not the only problem. The natural flavoring seems benign, but it could actually contain dozens of chemicals to constitute a natural-like flavor. Don’t be fooled with the “natural” label. There’s no industry regulation for what makes up a “natural” ingredient or food. Not to mention all of these ingredients are likely made with GMO ingredients and tainted with pesticides. So the question becomes: Why would you want to eat it? Homemade Ketchup is SO EASY to make – and this version doesn’t even require cooking, yet it contains beneficial probiotics (from whey or fresh sauerkraut juice) to help support a healthy digestive system. So now you can encourage the kids to eat their ketchup to get a daily dose of probiotics. 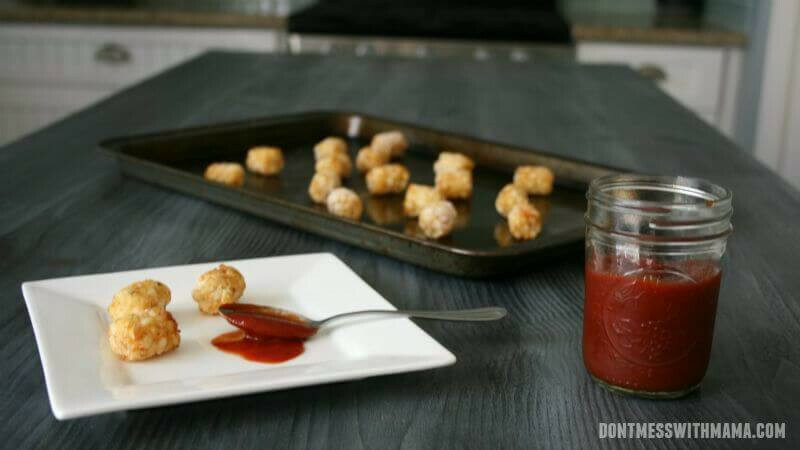 I love to serve this Homemade Ketchup with my Gluten-Free Tater Tots or even a side of Chicken Strips. Tip: Get the kids involved in making ketchup. They’ll love to measure the ingredients and watch it sit on the counter to ferment. Plus, they’ll be more willing to try it and use it on their meals. This Homemade Ketchup can be stored in the refrigerator for a few months as the fermenting from the whey or vegetable brine helps to naturally preserve it. If you decide to forgo the whey or brine, this Homemade Ketchup will last about 3-4 days in the refrigerator. Mix all ingredients in a medium-sized bowl. Combine well. Pour into a glass Mason jar (leave at least 1-2 inches from the top free for air). Seal tightly with a lid and let sit for 2-3 days at room temperature. Use as needed and store in the refrigerator. 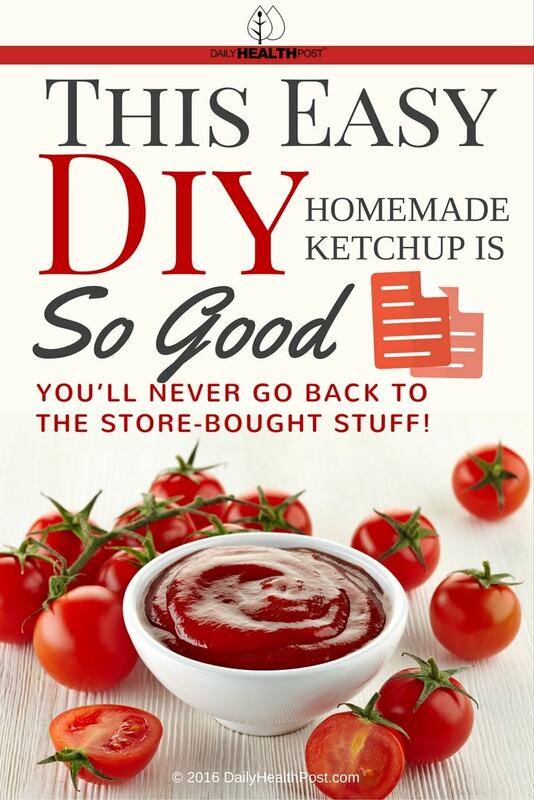 Latest Headlines » Healthy Recipes » This Easy DIY Homemade Ketchup Is So Good, You’ll Never Go Back To The Store-Bought Stuff!